It’s a couple of months now since I went to see Pompeii at the cinema with a very patient and generous friend, but I have been running around the place giving talks about Augustus so much since that I’ve only just had time to sit down and write about it. In fact, though, there is a lot I don’t need to say, because plenty of other Classics bloggers have already put fingers to keyboard. So I will start off by building on what they have already written. 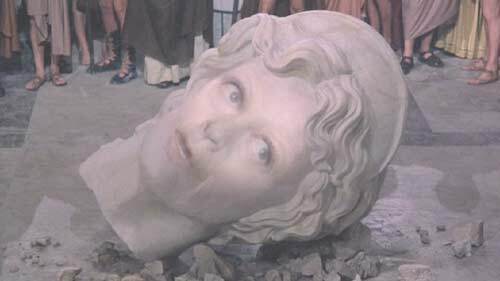 Helen Lovatt in Pompeii: The Curious Case of the Body Casts discusses the prominence of the casts of Pompeii’s victims in the film, which begins with them and also closes with its romantic lead couple being transformed into casts as they kiss at the end. 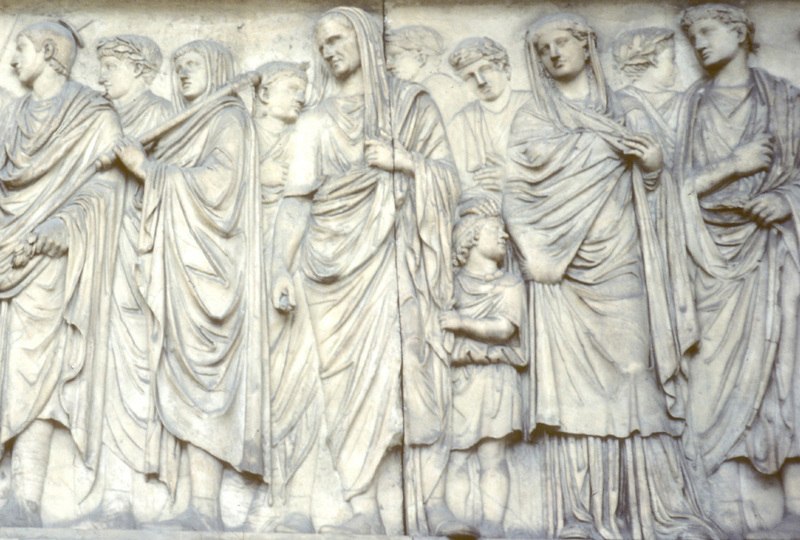 Helen notes that the casts have always been prominent in Pompeian receptions because of their apparent ability to bring us face to face with the real people of the ancient world in a way that mere artefacts, buildings and texts cannot, and cites some recent examples of the phenomenon (the British Museum exhibition, a documentary and a song). But she also says herself that she isn’t really into swords and sandals films, and I think if she had seen a few more she would have been able to slot what Pompeii (2014) does with them into a wider nexus of cinematic appearances. In fact, the device of positioning a film about Pompeii as a story about the casts ‘come to life’ is such a hoary old cliché that it is used to comic effect in the film version of Up Pompeii, where the regular characters all turn into ‘casts’ at the moment of the eruption, with some of them deliberately choosing the poses in which they wish to be preserved for posterity. Up Pompeii then ends by transitioning to the modern day, where tourists look at those same casts and wonder what the people they represent were like. One thing which this use of the casts has in common with Pompeii (2014) is the way it plays upon, or at least does not bother to correct, the popular misconception that the Pompeian casts are like fossilised remains created naturally in the course of the eruption, rather than plaster casts made by archaeologists. This idea is so widespread that it’s a plot point in the Doctor Who episode Fires of Pompeii, where the Doctor comments that the effects of the Pyroviles mean that “The people of Pompeii are turning to stone before the volcano erupts.” And I do see why – coming to the site of Pompeii without any knowledge of how the casts were made, but with an awareness of the concept of fossilisation and a hazy idea of the difference between palaeontology and archaeology, it’s an easy mistake to make. More importantly, it is a very romantic mistake, which I think is what really gives it its staying power even when people have had the opportunity to learn the truth. The idea of the volcano itself preserving the bodies of people even as it destroys them, literally freezing them in time at the very moment of death is potent indeed – much more so, I think, than the prosaic and slightly morbid reality of cavities in the ash layer, funnels and plaster of Paris. Peter Kruschwitz in Pompeii 3D says, yes, it’s historically inaccurate, and yes, it’s a rip-off of a whole bunch of existing ancient world and disaster movies, but more seriously it is badly acted, badly plotted and a wasted opportunity to make the most of what could have been a really exciting and engaging story. I agree wholeheartedly with this, and am particularly sorry that the almost-half-a-million people who went to see the Pompeii exhibition at the British Museum last year got nothing better than this to carry forward their interest and enthusiasm. Those who are interested in this latest film’s roots in earlier cinematic takes on the destruction of Pompeii will be well served by this page. 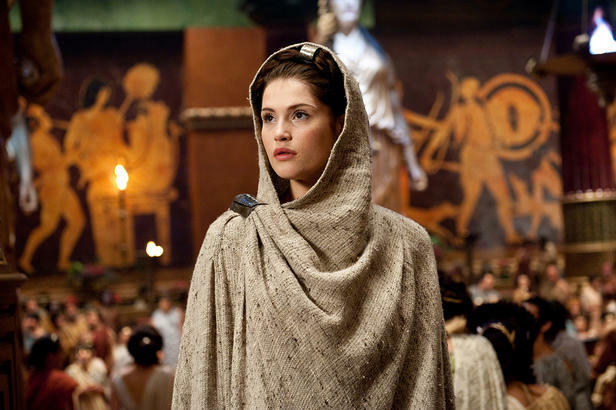 Virginia Campbell, who was asked to comment on how important accuracy would be for the film before it had even been released, and thus before she had the chance to see it, argues in Pompeii and circumstance that accuracy isn’t necessarily that important for most moviegoers, and that the story of Pompeii is capable of fascinating and compelling without needing to be accurate in every detail. I’m guessing that Virginia would agree with Peter that it’s all the more pity, then, that in practice this film neither fascinated nor compelled. I’d also add that while she is right that total accuracy of the kind academics tend to yearn for isn’t necessarily what most film audiences want (indeed, it would probably put them off), non-expert viewers do still seem to talk about accuracy issues a hell of a lot when they discuss films with a historical setting. The message boards, ‘goofs’ section and user reviews on this film’s IMDb page are full of it, and every single professional review I’ve seen seems to have felt obliged to discuss the film’s accuracy too. 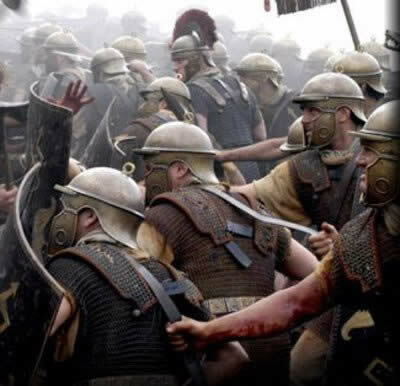 I don’t think historical accuracy would have saved this movie if the standard of acting, story-telling, directing etc had remained otherwise unchanged, but I do think it is something film audiences look for and judge movies on when they present themselves as grounded in real historical events. As if to prove my point, Caroline Lawrence offered a list of 12 Pompeii Movie Bloopers, which evidently reflects what she felt her readership (mainly young fans of ancient Rome) would be interested in. 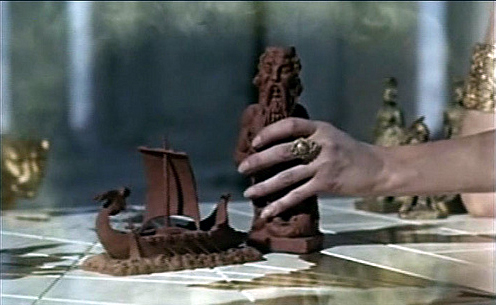 Along similar lines, Juliette Harrisson in Pompeii (dir. Paul W.S. 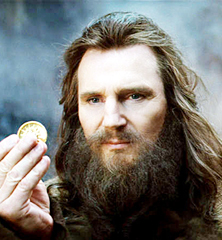 Anderson, 2014) found it in her heart to love the film for its utter bonkersness, but also did a great job of unpicking some of the weirdly inexplicable things it has done with the historical material, and pointing out where it has rehashed familiar clichés from a whole range of other ancient-world and fantasy films as well. Juliette’s film and TV reviews are always fantastic value, and I am very glad indeed that she has given Pompeii a good going-over so that I don’t have to! 1. Londinium. So frustrating! What Pompeii gives us is a beautifully accurate representation of Roman Londinium, complete with CGI fly-over… exactly as it was in the third century, i.e. about two hundred years after this film is supposed to be set. That’s like doing a biopic about Queen Elizabeth I, but putting her amongst the streets and buildings of 18th-century London without any comment or explanation. I mean, don’t get me wrong – historical stories can of course be successfully translated to other periods, as e.g. the BBC’s Sherlock shows. But there is a difference between doing that carefully and knowingly, and just getting the historical setting wrong. Roman-world films have, of course, always suffered from this, with my favourite and most reliable diagnostic being the Bust Of An Emperor Who Hasn’t Reigned Yet (which Pompeii also has). It reflects a view of ancient history as all happening at once in a single anachronistic melting-pot, which I think also affects the medieval world, but which no-one would dream of applying to any period of European history after about 1500 – and it takes quite some unpicking when students arrive at University. 2. Pompeians as somehow ‘not Roman’, and under the iron thumb of nasty, brutish military generals sent from Rome to keep them under control. This is complete and utter hog-wash for anywhere in Italy in the AD 70s, and double hog-wash for any city which had had a colony of Roman citizens imposed on it at any point in its history, as Pompeii did after its defeat in the Social War. In fact, the Pompeian elite (just like that of any other Italian town) had been busy putting up buildings which directly imitated those in Rome pretty much ever since, in a sort of ‘keep up with the Joneses’ move to demonstrate how much like the inhabitants of the fashionable capital they were. 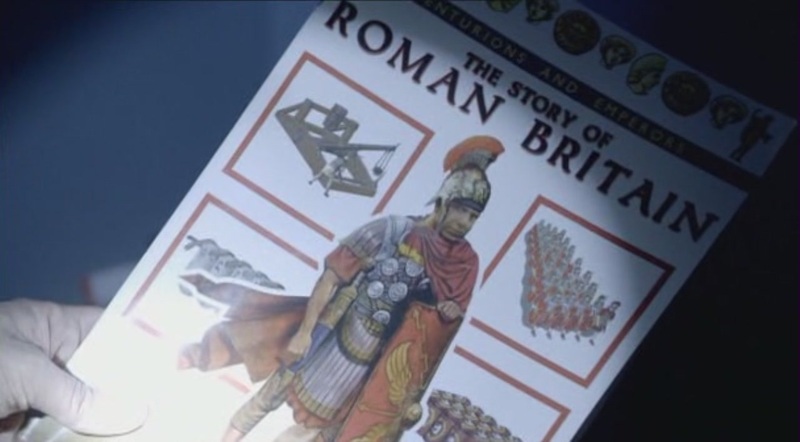 The complete erasure of all this in favour of the ‘nasty imperialist Romans’ trope obviously reflects the long history of using Rome on film as a cipher for modern imperialists, and particularly the British (as demonstrated by Kiefer Sutherland’s fake British accent), which is apparently so powerful that it has to be adhered to even when historically completely out of place. 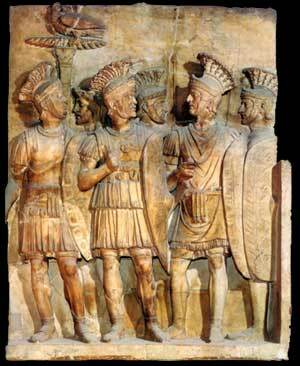 It is annoying, because it perpetuates myths and misunderstandings about how the Roman empire actually operated, which again have to be unpicked at University level. But actually here it is so obviously inappropriate for this historical and geographical setting, that I wonder if the trope has to some extent managed to undermine itself by ringing false and encouraging viewers to ask questions about what being ‘Roman’ or ‘not Roman’ even means which it doesn’t normally set off when it is used in (for example) Roman Britain? Certainly, I notice that one of the commenters on Caroline Lawrence’s blog post was obviously a bit puzzled by it, and wondered if it really applied in 1st-century AD Pompeii. If other viewers also found themselves raising questions about Roman identity and the relationship between Rome and its subjects as a result of the way the trope is mis-applied in this film, that’s all to the good. 3. The idea that Cassia’s father, Severus, should be hoping to secure imperial support so that he can build aqueducts, circuses and the like at Pompeii as an ‘investment’. Lol no! Ancient urban elites built public buildings as an investment, all right, but not a financial one – that is an entirely modern, capitalist concept. Instead, they paid for the buildings out of their own money and then gave them to the local community for free in order to win prestige and political support. They did not hope to get rich out of economic rents generated by the buildings themselves, which is very definitely what is suggested here. I think this error annoys me disproportionately as an urbanist – it’s no more egregious than the many others which Juliette and Caroline have already pointed out, and only adds to their number as yet another way in which the creative team behind this film have utterly failed to understand how and why the Roman world is actually different from our own. But annoy me it does. Also, Pompeii already had a perfectly good aqueduct, which all evidence suggests was functioning nicely in the run-up to the eruption, and there is no way it would ever had acquired a circus, since the only cities in Italy which ever got one were those used as imperial capitals – Rome, Milan and Ravenna. 4. The destruction scenes at the end. Yeah, these were inaccurate too, but this time in ways I actually really liked. 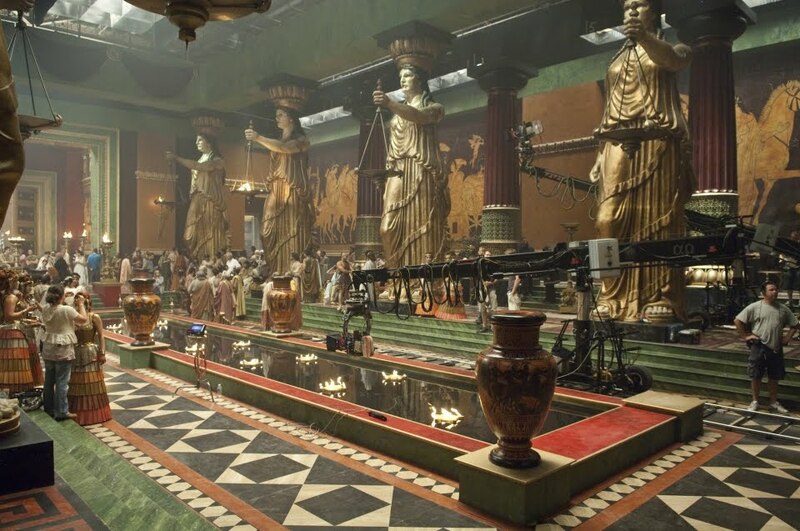 They built on a lot of the tropes already established in earlier versions of the destruction of Pompeii, right from the fireballs and falling masonry of Briullov’s The Last Day of Pompeii to the full spread of previous film versions, while adding some great new motifs of their own. I particularly liked the sight of ships from the harbour being washed up along Pompeii’s streets, which I’m pretty sure must have been inspired by footage of recent disasters such as the Japanese tsunami in 2011. 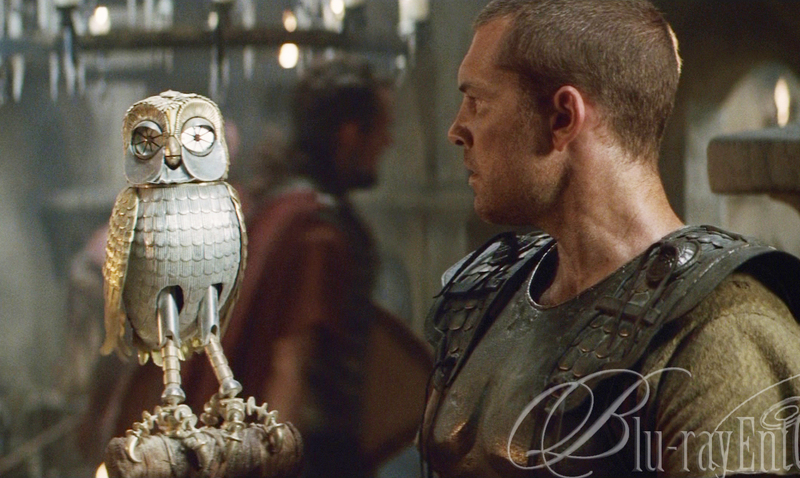 This is the sort of blurring of the lines between ancient and modern which I think films about the ancient world should do – drawing on equivalent modern situations to humanise ancient events and make them feel immediate and relatable for the audience. 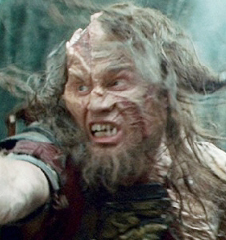 In fact, the contrast between my reactions to the inaccuracies I’ve moaned about in points 2 and 3 and the treatment of the eruption in point 4 helps me to reach a better understanding of my own position on issues of accuracy and inaccuracy in ancient-world films. I think it comes down to the difference between one-off events, where there is room for doubt on how they unfolded and they need to have dramatic potency, and the fundamental social and political structures of the culture which is being depicted. On the treatment of the eruption, I would agree with Virginia Campbell that accuracy shouldn’t get in the way of telling a good and immediate story. We’ve got no evidence that ships were dragged along the streets during the destruction of Pompeii, and indeed the evidence we do have strongly suggests that they weren’t – but the image does convey the magnitude of the catastrophe in terms that a modern audience can quickly grasp. 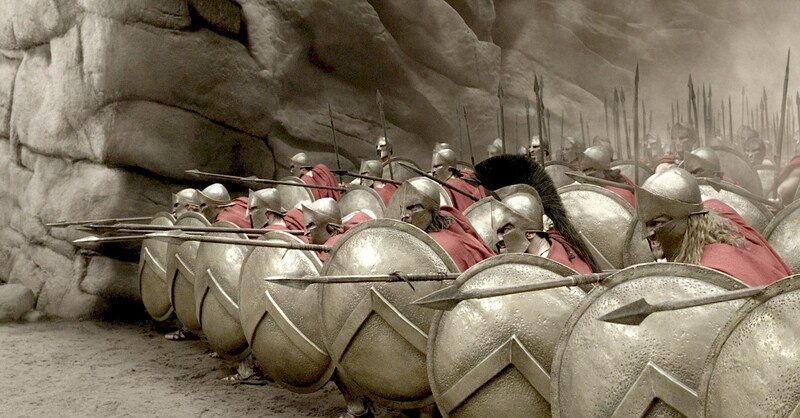 On the other hand, the total distortions of the basic dynamics of Roman politics and society covered in my points 2 and 3 don’t do anything to improve the story, but do perpetuate stupid myths and misunderstandings – and make no mistake, historical myths can be dangerous. It is here that I have to disagree with Virginia, and say that accuracy on these sorts of points does matter, and indeed that as an academic it is part of my job to point out why and how a portrayal of the ancient world is wrong. Whether film-makers choose to listen or not, of course, is up to them. I must apologise for neglecting this blog somewhat recently. 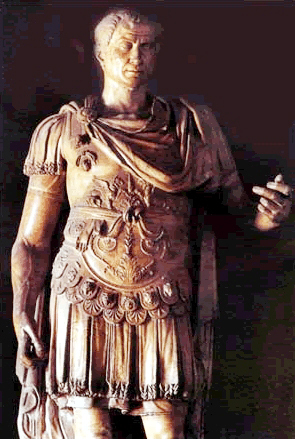 Most of my effort at the moment is going into my Commemorating Augustus project website, which is busier than ever now that we have reached Augustus’ bimillennial year. In between matters Augustan, though, I’ve recently been having a lot of fun revisiting Hammer’s Dracula (1958). Since the discovery in 2011 of some lost scenes from this film and the release of a new Blu-Ray / DVD edition complete with those scenes lovingly restored, it has been enjoying quite a renaissance. Late last year, I had the pleasure of seeing it on the big screen as part of Manchester’s GrimmFest 2013, and soon afterwards I bought my own restored copy and got stuck into the DVD extras. In his documentary, Frayling makes a point of saying that ‘Fidelis et mortem’ means ‘Faithful and dead’. The same translation is also repeated (presumably on the basis of Frayling’s statement) by Marcus Hearn and Jonathan Rigby on the commentary track. However, they are all wrong. In fact, the motto is not even good Latin in the first place. That’s no great surprise. 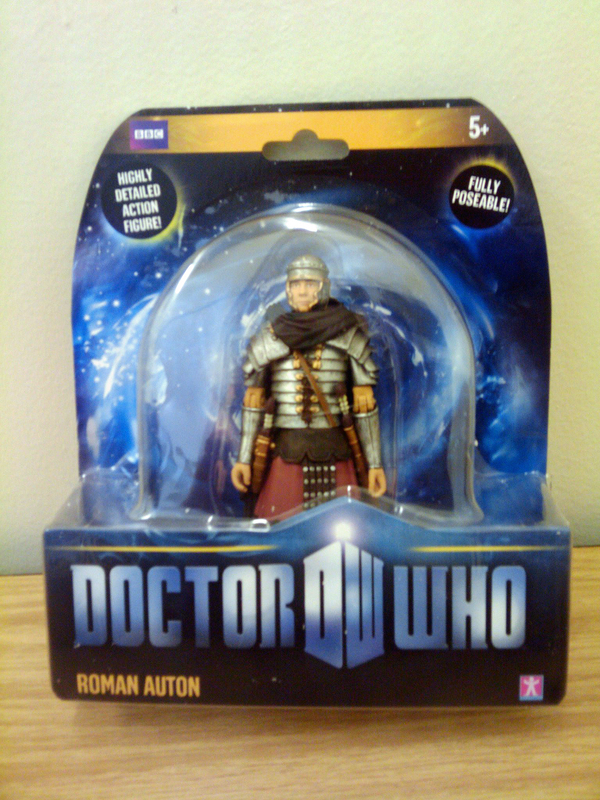 Film and TV productions are full of mangled Latin – indeed I’ve written about a similar case in Doctor Who before. But it’s when people start offering up incorrect translations of the mangled Latin, which then in turn get treated as though they are authoritative, that the Classicist in me feels the need to step in and call a halt. So what do we have here? 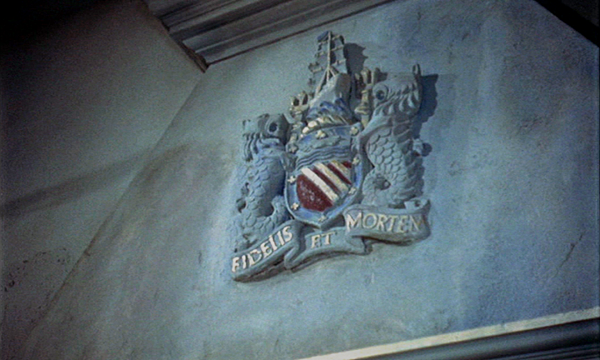 First, the motto as it stands: ‘Fidelis et mortem’. 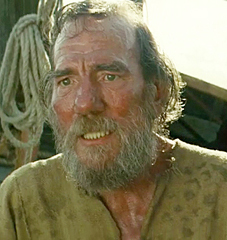 ‘Fidelis’ does indeed mean ‘faithful’ (an adjective), as Frayling says. But ‘mortem’ is not an adjective – it is a noun, and thus means ‘death’ (not ‘dead’). At best, then, we have ‘Faithful and death’, which is already a bit meaningless. But ‘mortem’ also has an accusative ending. This should normally mean it is the object of a verb, but there is no verb within this motto, or any very obvious absent verb which we can understand. The wrongness of this can’t really be conveyed very easily in English, since we use word order rather than word endings to show how the parts of a sentence relate to one another. But the best way of getting it across would be to translate the motto as something like ‘And death faithful’. That’s about how much sense the Latin makes. 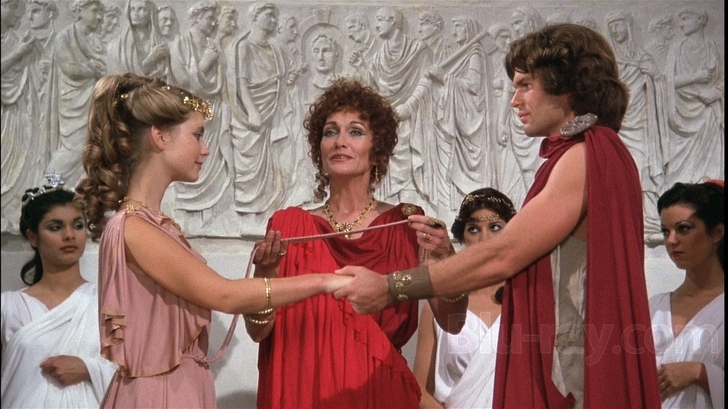 So someone’s Latin was a bit shaky – probably production designer Bernard Robinson‘s. It’s likely that what he was actually aiming at was something more like ‘Fidelis ad mortem’, which is perfectly good Latin, and means ‘Faithful unto death’. This is the motto of (amongst many others) the NYC Police Department. But to my mind, that still doesn’t suit the Dracula story, or its main character, very well. After all, Dracula is immortal and undead, so nothing needs to stop with death for him – not even fidelity. And in fact, part of the reason why Frayling mistranslates the motto in the first place is that this is the point he’s making about the Dracula character – that even in death, Dracula is attempting to pursue his own tragically-distorted form of fidelity. The film begins after all with him in what might well be the vampire equivalent of settled domesticity – he has a(n unnamed) vampire bride, and possibly even wears a wedding ring (though it may just be a signet ring) on the little finger of his left hand. 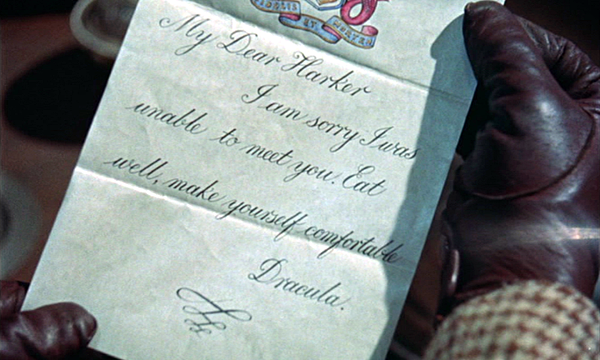 We might surmise that all is not well chez Dracula, since at the first available opportunity the vampire bride begs Jonathan Harker to help her escape, tells him how awful Dracula is, and then bites Harker, very obviously against Dracula’s wishes. But it’s reasonable to assume that at least at one time, Dracula liked having her around. Certainly once she has gone his entire motivation for the rest of the film is the attempt to replace her – first with Lucy, and then, when that is scotched by Van Helsing, with Mina. So that’s why amending the motto to ‘Fidelis ad mortem’ doesn’t work for me. Dracula is not merely ‘faithful unto death’. In his own way he is ‘faithful and dead’, just as Frayling says. But that still isn’t what the Latin over his fireplace says. Thinking this over, I came up with another solution. It’s obvious that there’s an error here, but what if it isn’t the substitution of an ‘et’ for an ‘ad’? What if instead we knock the final ‘m’ off ‘mortem’ to get ‘Fidelis et morte’? Once we’ve done that, it puts ‘morte’ in the ablative case, and this allows it to mean ‘in death’. Meanwhile, the Latin word ‘et’ is actually quite flexible. It doesn’t just have to mean ‘and’, but can equally cover ‘also’ or ‘even’. So we can translate ‘Fidelis et morte’ as either ‘Faithful also in death’ or ‘Faithful even in death’ (both are essentially the same). That works for me as a Classicist, and I’m ready to guess it would work for Frayling as a film critic, too. Maybe it’s even what Bernard Robinson actually intended? This is as far as I got with the motto under my own steam, anyway. But when I asked a few friends on Facebook about it, the brilliant Peter Olive (who is available for Latin tutoring) came up with an even better solution. Remember how I said that the ‘mortem’ in ‘Fidelis et mortem’ has no good reason for being in the accusative case, since this is normally used to mark out the object of a verb? Well, Peter pointed out that there is another rather specialist use of the accusative known as the accusative of respect (no, really! ), which allows a word to be translated as meaning ‘with respect to’. If we apply this to ‘Fidelis et mortem’, we can now translate it as ‘Faithful even with respect to death’. Suddenly, everything falls into place! It has the merit of preserving the motto as we actually see it on screen, which is something I’m definitely in favour of. Otherwise, we have to assume that Dracula isn’t very good at Latin, which is at odds with what we know about his historical counterpart. It also suits the character of the Hammer Dracula perfectly, preserving Frayling’s idea of the lonely immortal who is really just after a vampire bride to call his own – doggedly faithful to the pursuit even in death. In the end, Frayling is still wrong to translate ‘Fidelis et mortem’ as ‘Faithful and dead’; and I also very much doubt that Bernard Robinson knew about the accusative of respect when he designed the props and sets for the film. But by applying the collective talents of a few Classicists, it’s turned out that we can smooth over the gap, and get the Latin as it appears on the screen to make sense grammatically, as well as to work in service of the story. Now that is satisfying indeed. 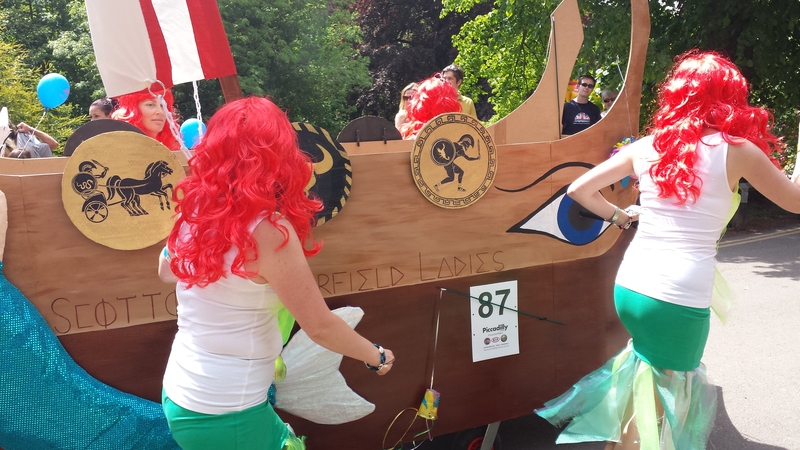 Last Saturday I met up with some friends in Knaresborough to watch the 48th annual Great Bed Race. 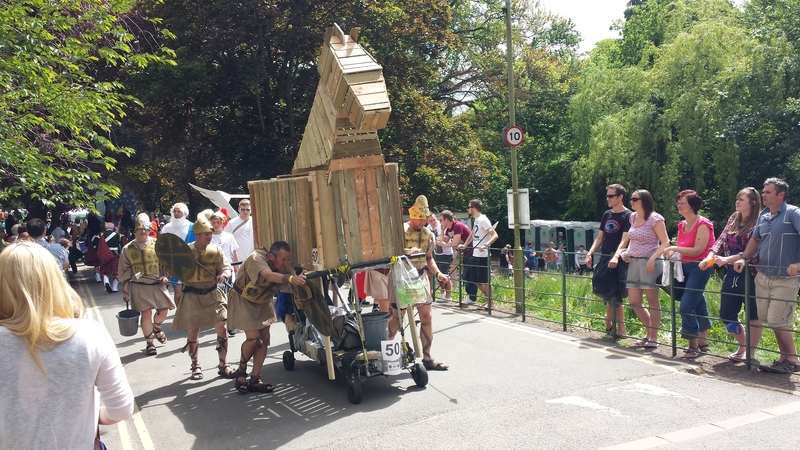 This is the type of utterly mad local event which small English communities seem to specialise in, and it involves teams of six runners pushing a passenger around the town on what is called a ‘bed’, but is really more like a sort of wheeled trolley. 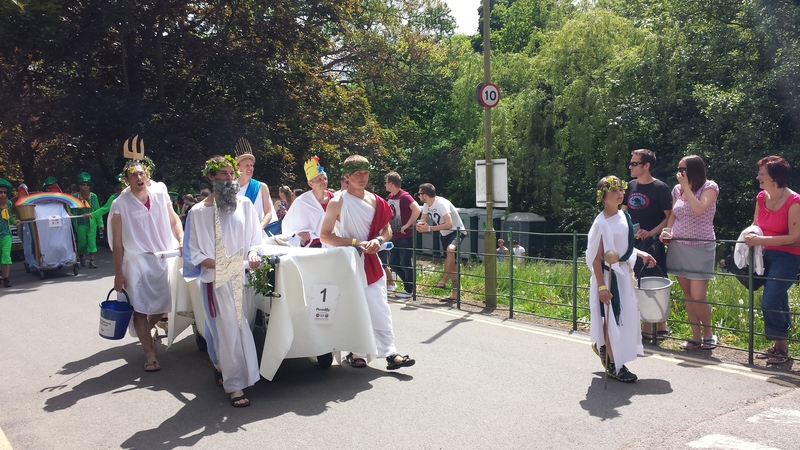 All of that is entertaining enough, but for extra fun the teams also take part in a parade before the race begins. For this, they decorate their beds and dress up themselves according to a theme, which this year was ‘Myths & Legends’. We got a great view of this from our bank in the park, with all sorts of imaginative tableaux parading past us involving the Loch Ness Monster, leprechauns, fairies, the Knights of the Round Table, vampires, Roswell / Area 51, various sporting legends, pirates, samurai warriors and so forth. 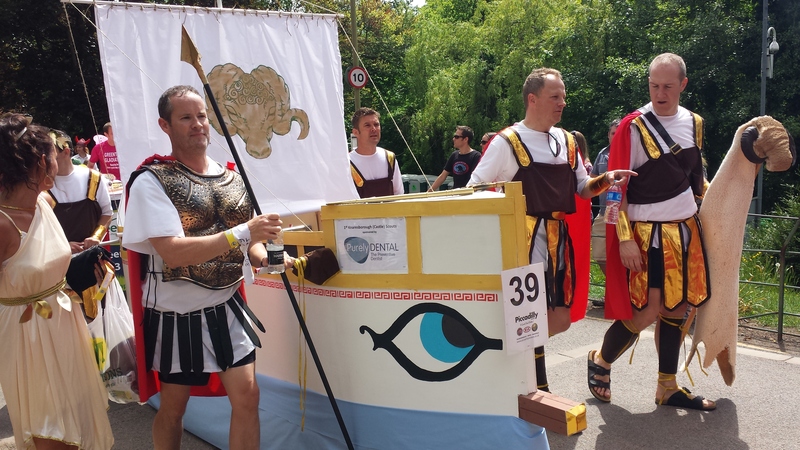 What really made my day, though, was the fact that out of 91 teams in total, fifteen had drawn their inspiration from the myths and legends of the Classical world. That’s nearly one in six, maths fans – and a great testament to how important Classical stories still are in the imaginative landscape of modern Britain. So I leapt into action with my phone-camera, and managed to capture pretty decent images of every single one of these teams. The photographs follow below, grouped roughly according to when the legends which they depict were supposed to have taken place, and accompanied by some comments on what I think the teams’ choices tell us about how Classical stories are perceived today, and how people tend to learn about them. 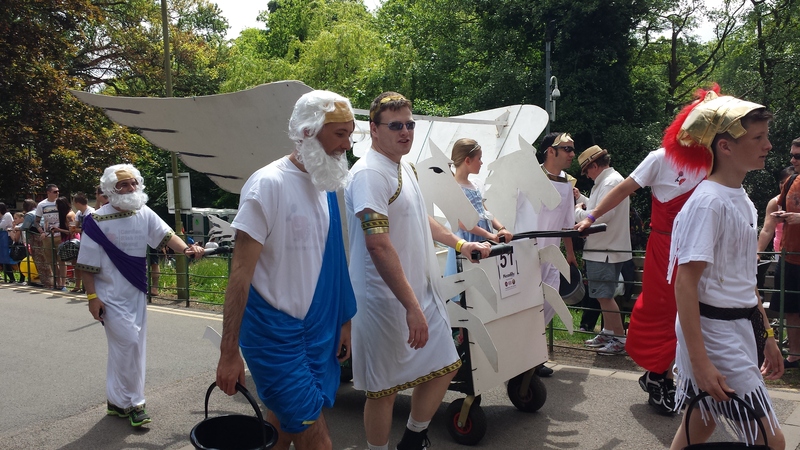 I can’t be certain whether either team was thinking of the Greek or the Roman pantheon, though my guess would be Greek. 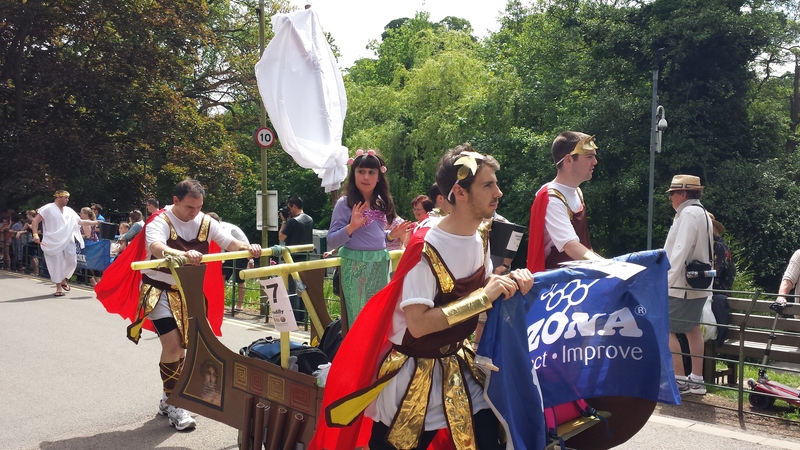 Certainly, most of the teams in this race were drawing on Greek rather than Roman myths, and I’ll say a bit more about why later. Also, the racing context may well have encouraged people to think about the Olympic games, Mount Olympus itself and hence the (Greek) Olympic gods. But in any case, both sets of gods map very closely onto one another. On the left-hand team I can identify Zeus / Jupiter (beard and thunderbolt), Poseidon / Neptune (tripod) and Helios / Sol (radiate crown), but I must admit I’m stumped by the fellow in what looks like a yellow Christmas hat and the round-topped sceptre held by the young person carrying the charity collection bucket. 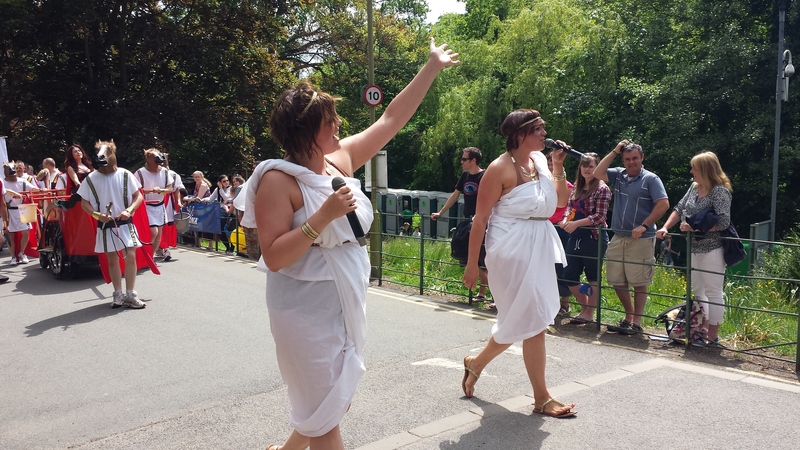 Two more team-members just seem to be wearing generic togas / chitons and laurel wreaths. Perhaps they are meant to be Olympic victors? The right-hand team have gone to the trouble of spraying themselves gold – a great way to signify divine status, which was done with literal gold-plating on ancient statues, and I think is also what the glowing CGI appearance of the Greek gods in the 2010 version of the film Clash of the Titans was trying to achieve. 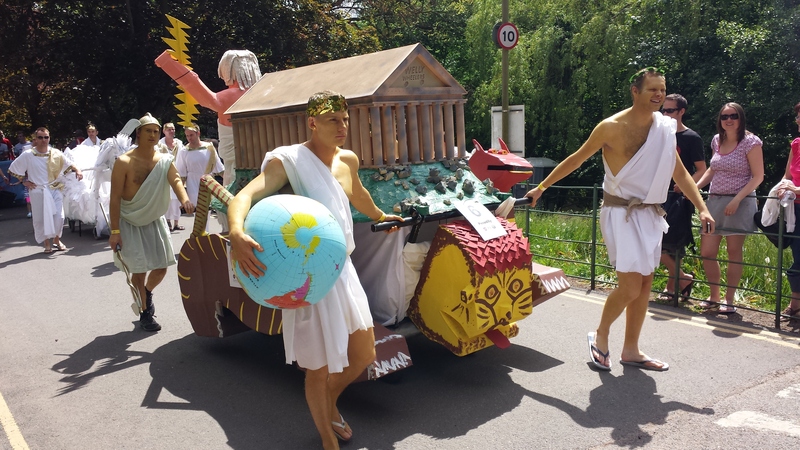 They have built a model of Zeus / Jupiter with his thunderbolt in front of the temple, and although I am not sure about the lion face on the front of the trolley, I wonder if it is meant to go alongside the red dragon-looking face on the far side and the possibly-a-snake on the near side to make up some kind of Chimera? If so, we are definitely in the Greek world. 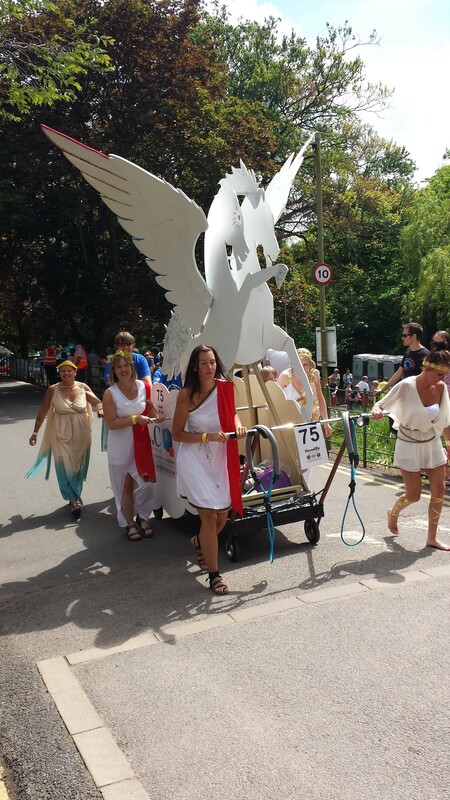 Meanwhile, amongst the team I can see Mercury at the back with his winged helmet and staff, and assume the fellow with the inflatable globe is Atlas (strictly a Titan rather than a god, but near enough). But the other person at the front doesn’t have any identifying attributes, and already I can’t remember what the fourth person who must be at the far corner looked like. Next on the mythological schedule is the winged horse Pegasus. In ancient literature, Pegasus is associated with both Bellerophon and (later) Perseus, but both of these heroes belong to roughly the same era in the fictional world of Greek mythology – a time before both the Labours of Hercules and the Trojan war. 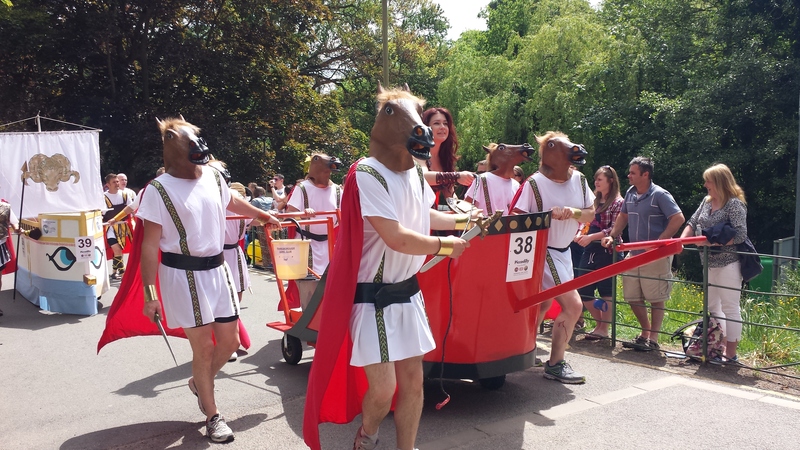 The wings on the first horse aren’t as obvious as the others, but they are there, represented by feathers along the side of the trolley. 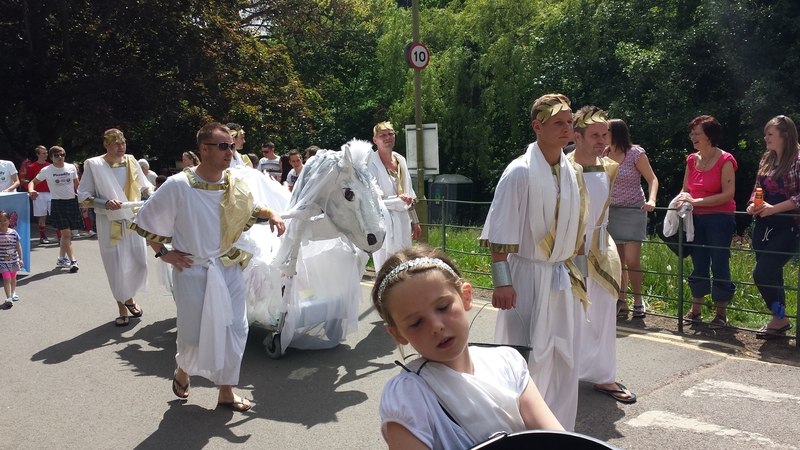 The second horse has a young lady in a fairy-princess costume riding inside it, while the close-up of the third horse in the final picture shows beautiful decorative details in rainbow colours and glitter. 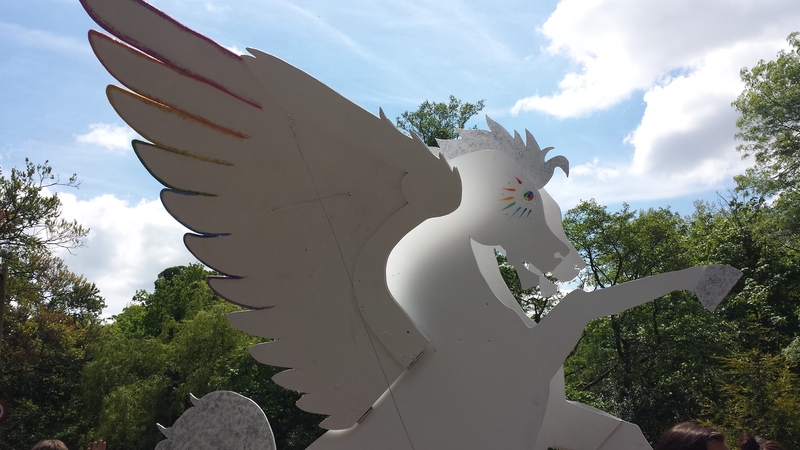 I think there is a definite note of magical fairy-lands about these latter two pegasi, reflecting the way that winged horses have found their way into all sorts of post-Classical fantasy stories – these days especially My Little Pony. But the overall aesthetic of all three teams is definitely Classical. 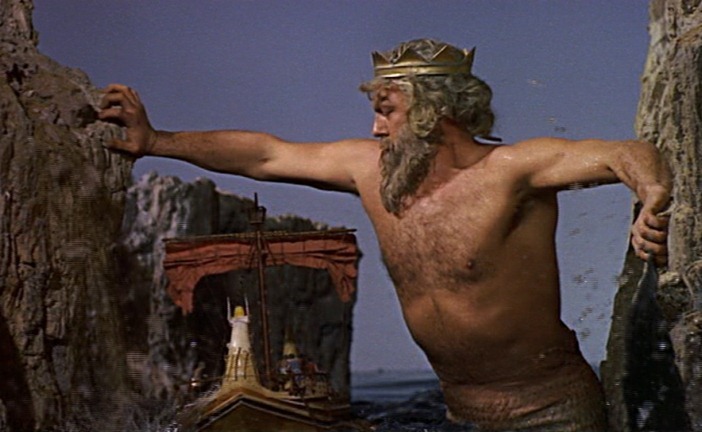 Besides, the worlds of magical princesses and the Classical Pegasus were memorably brought together by Ray Harryhausen and Desmond Davis in the 1981 version of Clash of the Titans, what with its distinctly magical fairy-princess version of Andromeda being rescued by Perseus astride Pegasus. So I think these teams are picking up on that merged heritage. The hydra was a terrible creature with multiple heads, all alive and moving independently, and I love the way this has been captured by the model. Some of the heads are static, others are on sticks allowing them to be moved around by the team, while several of the team-mates also wear caps with the same monster-head design, all adding to the impression of lots and lots of horrible scary heads moving around and trying to eat you! 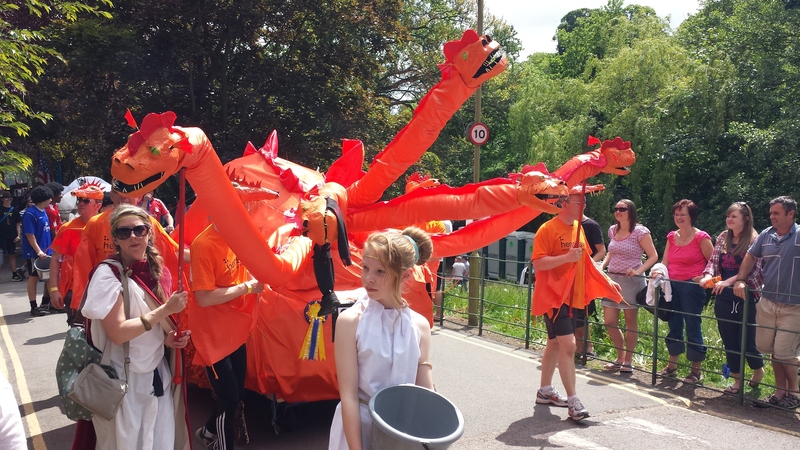 And if you look carefully just behind the head of the girl carrying the charity bucket, you will see that one of them has obviously been successful – there is a trouser-leg with a shoes hanging from the end of it dangling from its jaws. Brilliant! 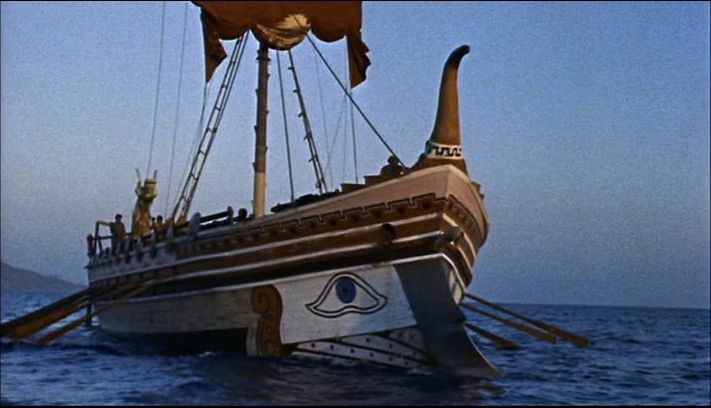 So between these ships and the fairy-land Pegasi, Ray Harryhausen’s vision of Classical mythology has clearly had a pretty bit influence on these teams – a real tribute to the enduring power of his films which I have also discussed elsewhere on this blog. 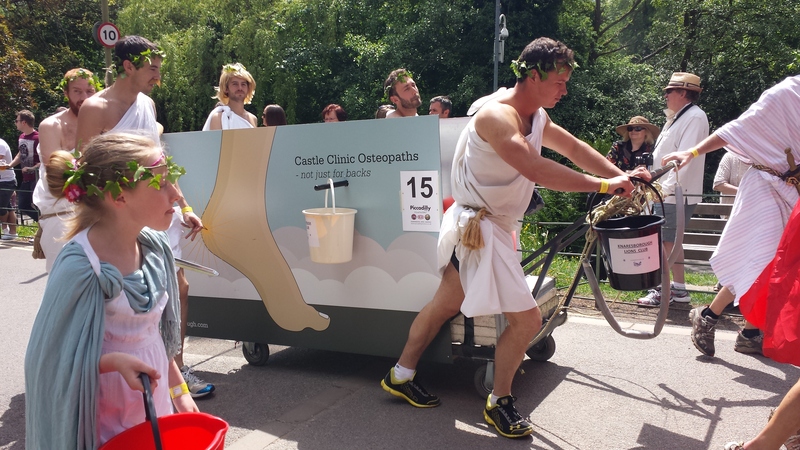 These people are osteopaths whose trolley proclaims that they don’t just treat backs – presumably, Achilles’ tendons are on the agenda too. A clever move from them to use the mythological reference in promoting their business, and a good example of how Classical references are transmitted through our culture. According to Wikipedia, the practice of describing the tendon at the back of the human foot with reference the story of Achilles grew up amongst anatomists in the early modern period (it’s recorded as an established practice in 1693). This was a time when learned people were well-steeped in Classical texts – in fact, anatomists were still making substantial use of ancient medical writers like Galen and Hippocrates. 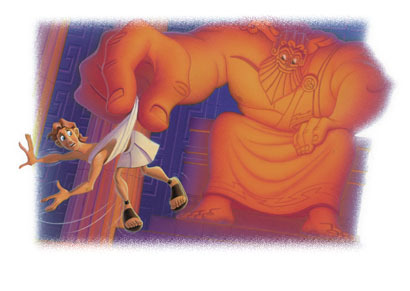 So it’s not surprising that they reached for Classical stories like the Achilles legend to name human body-parts. Now that name has stuck, and it helps in turn to keep the story alive. I’m sure many people now hear of an Achilles tendon before they know the story behind it, and I hope it inspires some people to discover the story itself. They’re not exactly the same, for sure – the Petersen one has a much ‘rougher’ look, capturing the feel of something cobbled together out of bits of broken-up ships. But there’s something about the use of individual planks of wood in this horse, as opposed to smooth panels like the other one, which gives it a similar feel. 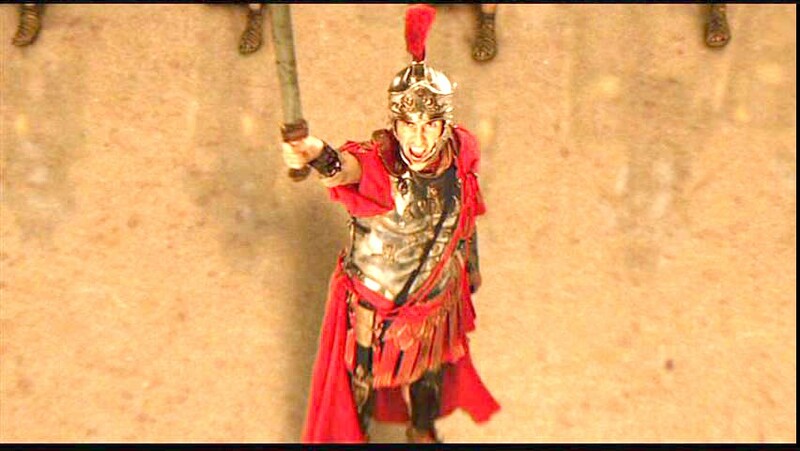 So we’ve now seen designs which are quite definitely influenced by 300 and Jason and the Argonauts, and probably also others influenced a little more indirectly by Clash of the Titans and Troy. 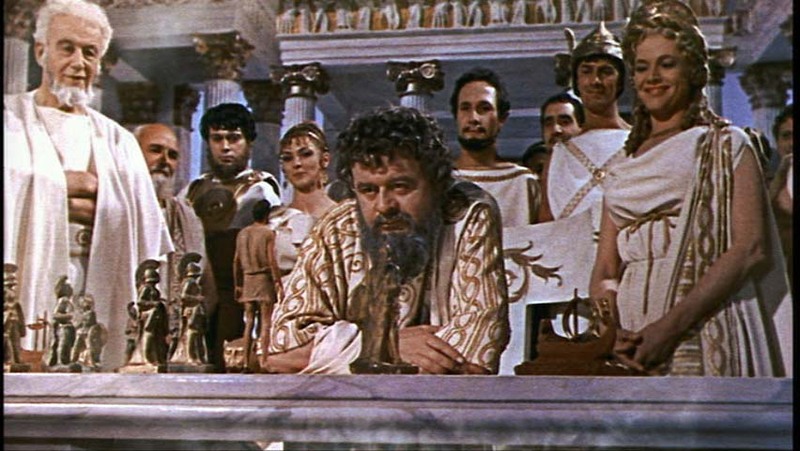 Most Classicists today are already very well aware that one of the main routes by which non-specialists come into contact with Classical stories today is film and TV – indeed, my survey of which Roman emperors people in Leeds were familiar with showed much the same thing. But I think the choices made by these teams are one more proof of that, if anyone needs it. To be fair, this ship is quite multi-cultural. 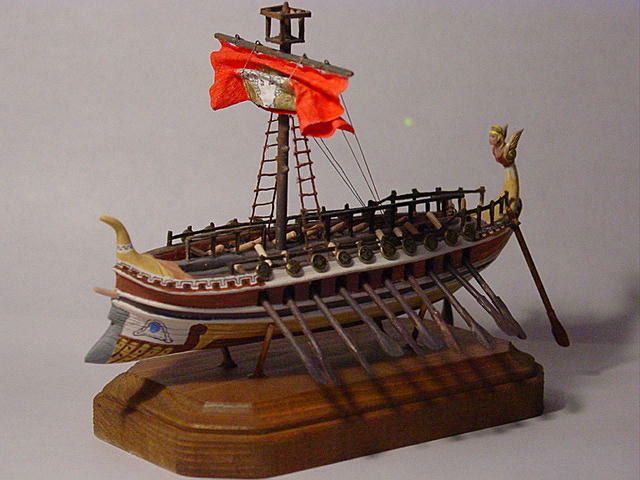 The overall design could be Greek or Roman, and alhough they’re not visible in this picture, it also had some quite Celtic-looking designs on the prow. If I could identify the picture of the female head on the stern, I might be clearer about where this team got their inspiration – but although I’m sure I’ve seen it before, I can’t pin it down now. These two are definitely Roman, though. 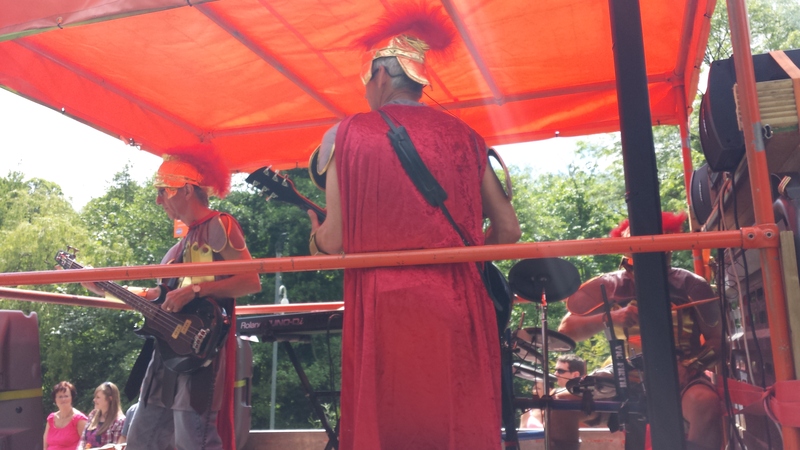 The lady in the first chariot is clearly Boudicca, because she had the famous knives on her chariot wheels (not visible in the picture above, but see below right behind the two singers). 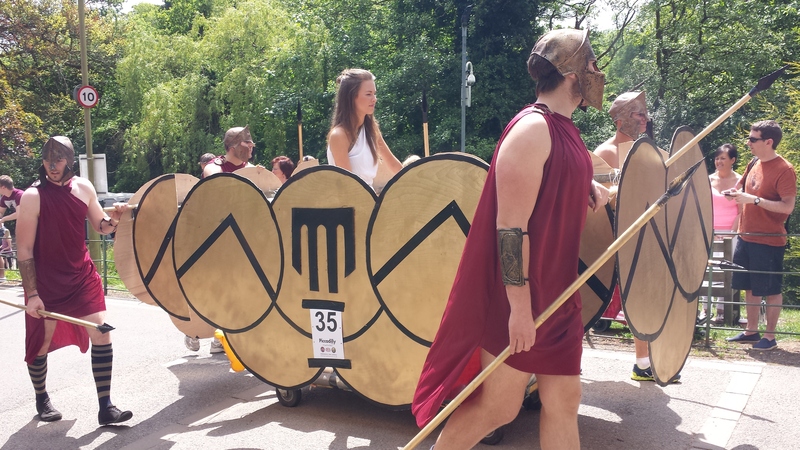 I’m not so sure about the second lot – perhaps they were thinking of Boudicca too (especially since they are an all-female team), but decided to omit the knives? 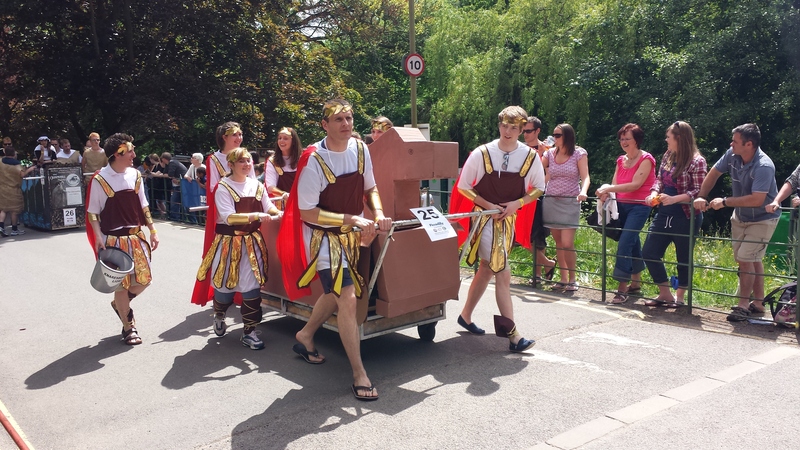 Or perhaps it’s a more general reference to Roman chariot-racing as seen in films such as Ben Hur? 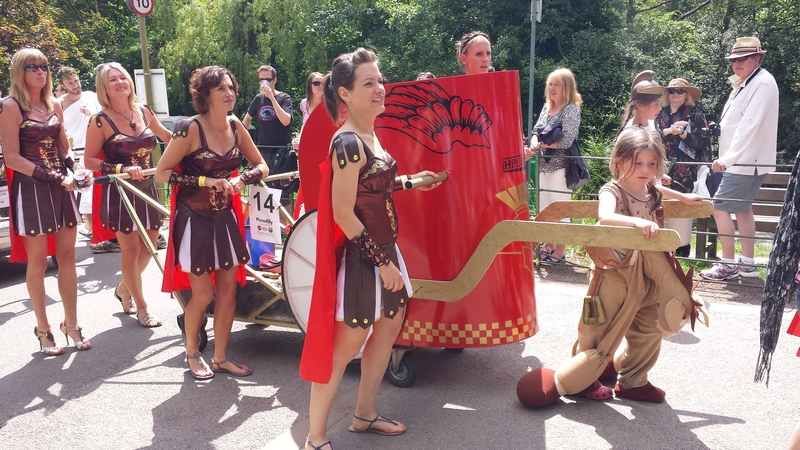 In any case, the net result is that the only identifiable story from the Roman period represented at the bed race was the story of Boudicca, who of course crucially wasn’t a Roman at all, and indeed stands in the popular imagination as a symbol of Celtic resistance to Roman imperialism. The many myths and legends which the Romans did actually have continue to languish in obscurity today, just as Wiseman has discussed. Two weeks ago, I helped to run a conference entitled Animating Antiquity on the interplay between the Classical tradition and the films of Ray Harryhausen. In order to get myself in the right mood beforehand, I watched or rewatched a couple of his films in the days before the conference. 20 Million Miles to Earth was one I hadn’t seen before, but was recommended to me by a couple of people on the grounds that it features an enormous alien creature on the rampage in Rome. Fantastic! 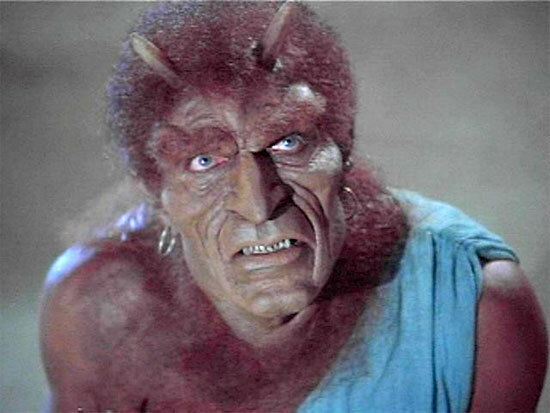 In basic terms, it’s a ‘monster on the loose’ film, of which Harryhausen had already done a few – e.g. The Beast from 20,000 Fathoms and It Came from Beneath the Sea. He clearly enjoyed them, as they gave him the chance both to pay tribute to one of his major inspirations, the 1933 King Kong, and to indulge a passion for destroying things in spectacular fashion on-screen which he often talks about in his interviews. 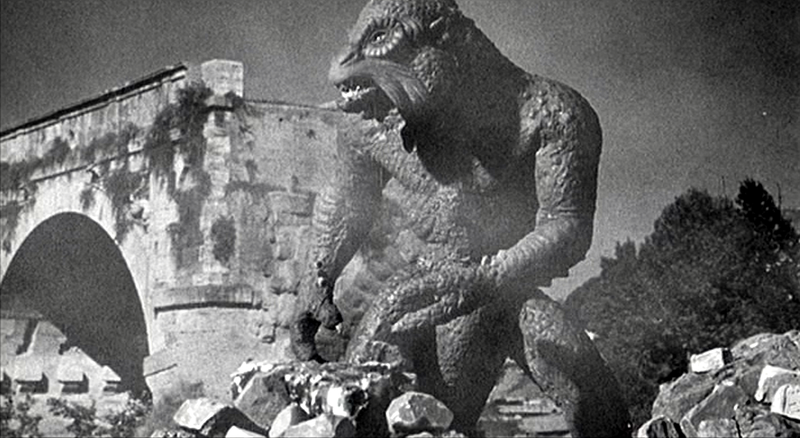 But this one developed in a new direction by using a European setting – something which Tony Keen has rightly pointed out to me was clearly very popular in this period, and apparently also a reflection of Harryhausen’s growing personal interest in the European film industry, cemented by a move to the UK in 1960. 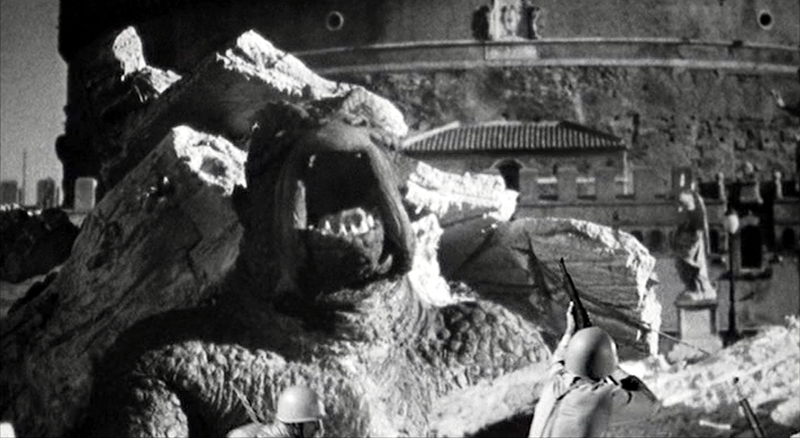 The ‘monster’ in this particular case is from Venus, and gets a very sympathetic treatment, entirely in line with Harryhausen’s consistent statement that he actually thinks of his models as ‘creatures’ rather than ‘monsters’. It has been brought to Earth against its will from Venus (hence the ’20 Million Miles to Earth’ of the title), only becomes ‘monstrous’ (in the sense of incredibly large) because of the effects of Earth’s atmosphere on its physiology, and is portrayed as merely curious about its surroundings and trying to survive amongst them until it is provoked into violence by people attacking it. Much as with King Kong, we are encouraged to feel sympathy for it, and this makes the whole film a great deal more captivating than it would otherwise have been. 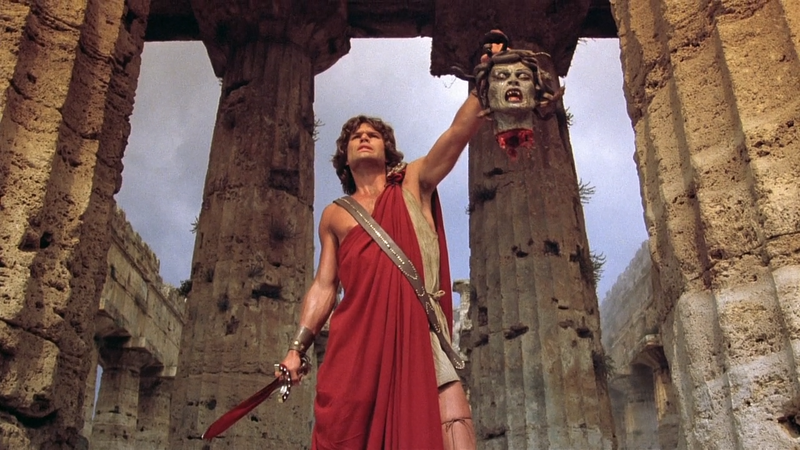 This struck me as a very good example of how clever Harryhausen’s use of ancient ruins always was – something I also noticed and commented on regarding Medusa’s temple in my review of Clash of the Titans. Already in 1957 he was doing exactly the same thing I’d spotted in 1981 – using ruins for their value as ruins, rather than trying to hide their brokenness. The genuinely ruined Ponte Rotto comes into its own by playing the ‘after’ role in the bridge destruction scene, helping to add to the magic by looking like a real bridge which actually has been destroyed, and saving Harryhausen the trouble of having to model the destroyed Ponte Sant’Angelo into the bargain. You’d have to know the topography of Rome fairly well to make that kind of connection, and it’s abundantly clear that Harryhausen did – as I could also see from the generally very logical path followed by the creature through the city from the Giardino Zoologico to the Castel Sant-Angelo and onwards to the Forum and Colosseum. The final scenes in the last two settings are absolutely infused with the same love of ruinous structures, too, either in their real-life guises or (when they’re being torn down by the creature) lovingly modelled in miniature form. Meanwhile, the European setting and largely American main cast throw up some contrasts which reveal a lot about American self-perception in this period. The echoes of the Second World War resonate pretty strongly in the final sequences, what with Rome’s iconic monuments being attacked and American tanks and military cars racing around the city to liberate them once again. The American characters, and particularly the heroic leading man, are also cast throughout as dynamic, brave, intelligent and scientifically competent, against Italian characters who come across as useless, corrupt and foolish. It’s an Italian kid after a few lire who sets the creature free in the first place, and Italian farmers, police authorities and soldiers who variously enrage it by attacking it with pitch-forks, guns and flame-throwers. Meanwhile, the all-American hero insists on trying to capture the creature alive so that it can be studied for the Advancement of Science!, has the technical know-how to do so by stunning it with an electric shock, and leads a successful capture operation that rests on radio communications, helicopters and smooth teamwork. Interestingly, there is also one Japanese scientist amongst the Americans, showing that the image of the Japanese as masters of technology was already well-established. And Brigadier Lethbridge-Stewart might have been pleased to know that amongst all the sciencey-science stuff, we actually get an on-screen explanation of why the creature is immune to bullets – apparently because it breathes via a network of tubes throughout its whole body, rather than a heart and lungs which might be fatally damaged by the bullets. As for the male-female dynamics, they are much what you would expect for the period. There is one full-developed female character, with other women appearing only occasionally in crowd-scenes, and not generally getting any dialogue. To be fair, two of the crowd-scene women are professionals working as journalists, and indeed the main female character herself is training to be a doctor, and gets some fairly snappy, sassy dialogue which makes it clear that she has a real intelligence of her own. But for all that, her main role as the plot unfolds is to become a love-interest for the all-American hero, who rushes straight forward to ‘claim’ her as his well-deserved prize once he has defeated the creature. I’d love to be able to say, “Ah, but that was the 1950s – things are better for women now”, but sadly this is still all too common – and that reflects rather more poorly on us than it does this film. 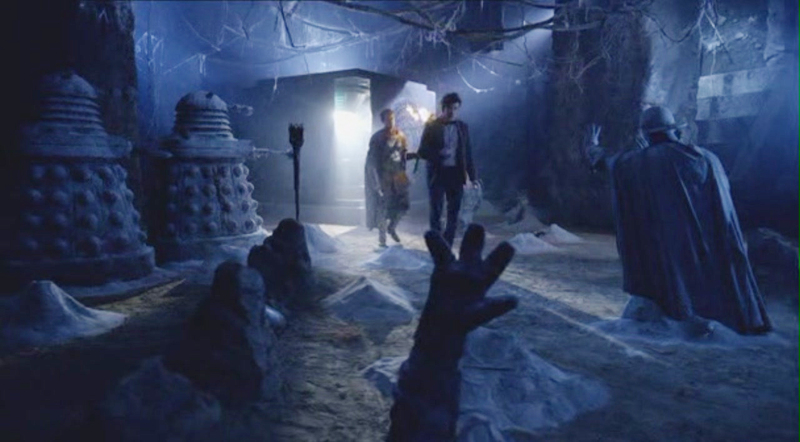 One of the things I liked best about the last season of Doctor Who were the Roman soldiers from The Pandorica Opens and The Big Bang. 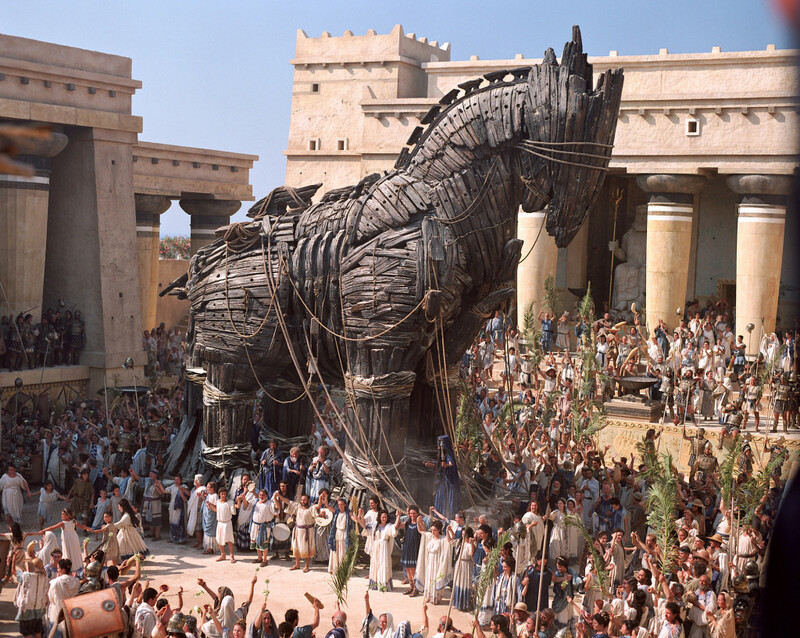 Obviously, as a Classicist, my default position is to be happy when anything from the ancient world shows up in a modern medium – and that goes double when it’s happening specifically in the context of my favourite TV programme. :-) But these soldiers went one step further for me. 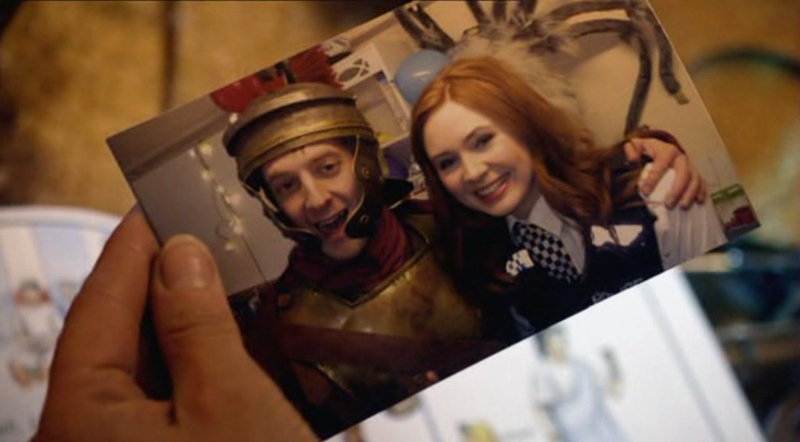 By encouraging us to accept them at first as ‘real’ human beings, but then gradually revealing that, even within the terms of the story, they were in fact fakes (plastic Auton replicas, to be precise), Steven Moffat whisked us off into the realm of the meta-referential – yet another thing which I absolutely love. The suspension of disbelief is all well and good, but better still is an author who occasionally draws attention to the fictional nature of his or her narrative, reminding the audience with a nod and a wink that what we are actually doing is indulging in the pleasure of a really good story. Yay! Every director who has ever master-minded a Roman battle scene has known that he (or she) is fundamentally playing with life-sized toy soldiers. And now here is Steven Moffat, making that gloriously explicit. This takes what was already a fantastic joke to a whole new level. Now instead of watching human actors playing plastic Roman soldiers on my television, I have my very own model of one of those soldiers which is actually made of plastic. 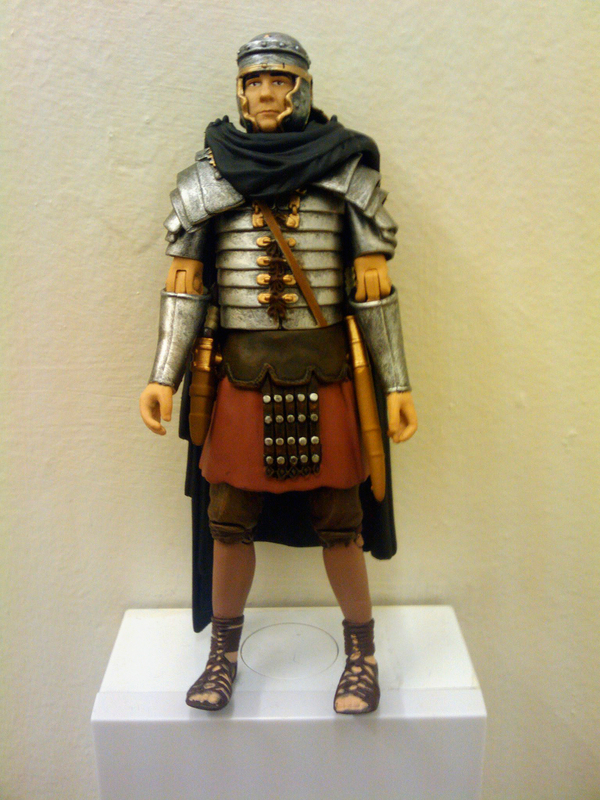 A plastic plastic Roman. What could possibly be cooler than that? Mind you, I think there’s no contest over which is the higher-quality figure, there. These are quite literally “after-images – fossils in time”, which is also what the Doctor calls the stone aliens in the Underhenge.